If there’s one thing my quiet, white, small-village upbringing taught me, it was this: saying yes makes you sociable, reliable and pleasant; and, subsequently, that people-pleasing is an easy route to success. ‘No’ would become the boundary I drew between myself and burnout. In freshers week my mouth would chatter excited ‘yes’s and dob me in to yet another social situation that I couldn’t stand. I would clumsily stumble into agreeing to things I really wasn’t okay with, accepting invites and friend requests and freebies. In a desperate effort to appease my way through social situations and frantically fit in, I had gone to lengths that I wasn’t mentally, or financially, able to support, realising that always saying yes is the quickest route to burnout. By the end of the week I simply couldn’t do it anymore – not physically, economically, nor emotionally. It became clear that it wasn’t my own inadequacies making me feel tired beyond belief and stressed beyond compare, but the fountain of ‘yes’s I was relentlessly spouting. Despite my best efforts, I wasn’t making my freshers experience fun or unique or exciting, but draining, isolating and mechanical. ‘No’ will be an act of defiance and a moment in which you can savour the control you have over yourself. Something had to give. It wasn’t an easy switch by any means, nor, at the time, a conscious one, but I started to just say no. The guilt of declining plans in favour of eating pizza and watching Shrek 2 was heavy, but necessary. I couldn’t continue to prioritise what I thought would make me likeable above what I knew would make me comfortable. At times, I felt like I was inconveniencing others, that I was ungrateful and that I was missing out on a ‘real’ uni experience. This was not the case. Saying ‘no’ was a start to being honest, and when I began confessing my own insecurities, anxieties and tiredness, I was paving the way for others around me to do the same. As a frantic freshers week morphed into a hectic first term, I became more accustomed with my new friend ‘no’. I began to recognise the moments where my ‘yes’s had not just been compliant, but also complicit, and found liberation in my ‘no’s. My ‘no’s could help others, could defend and empower. Declining was enabling. Disagreement was fruitful. As my friendships kindled and I used my ‘no’s to establish boundaries in the relationships I pursued my ‘no’s became less focussed on socialising, and more integral to academia and activism. The disagreements found within classes, between supervision partners, in critical arguments and textual bodies are now perhaps the most important element of my time at Cambridge. I learnt just how brilliantly a simple ‘no’ can be unwound into ‘I disagree’, ‘I don’t think that’, ‘I don’t believe’, ‘I wouldn’t suggest’, and how neatly these pair with a ‘because’. ‘No’ became synonymous with expansive discussion and debate. Disagreement was not bitter or intimidating, but the most useful tool in the supervision room. 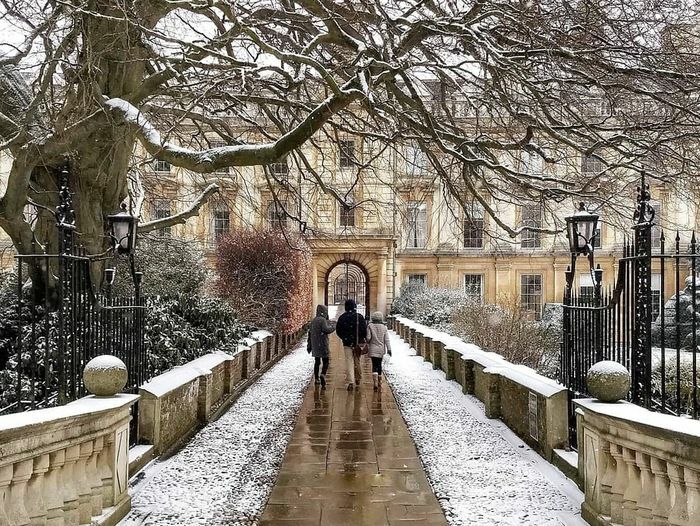 Where schooling had ingrained that intelligence equated to perfection, agreement and a total absence of disruption, Cambridge taught me that always saying ‘yes’ doesn’t help you learn. Saying ‘no’ was my sign of commitment, confidence and creativity. It was the stake I made for my own ideas, and the space I made to appreciate my own contributions. ‘No’ would become the tool I used to challenge college authorities and question moral codes. ‘No’ would become the boundary I drew between myself and burnout; the balance I struck between alone-time and socialising; the line I marked between motivation and self-destruction. But beyond this, and more unexpectedly, I found that ‘no’ doesn’t always require justification. Cambridge can be stifling, it can hold unfair expectations, it can be toxic and, undeniably, it can be miserable, and when it is, a brave ‘no’ can lighten the load. I am adamant that the seat of self-care rests in ‘no’s: saying no to online bombardment, taking time away from emails, refusing to attend a class when overwhelmed, declining invites to inconvenient events. You don’t owe an explanation or evidence for your ‘no’. Placing yourself before your work is freeing – saying ‘no’ can feel like an interruption to the status quo, but is an admirable act of self-care. The world will not implode if you say no to a deadline, to that sporting fixture, to your responsibilities, or to making your bed. First year will be turbulent and exciting, and in its madness, ‘no’ will be an act of defiance and a moment in which you can savour the control you have over yourself.